B LOOD P ART II AMTP, 2009. B LOOD T YPE Blood Type AntigensAntibodiesCan Give to Can Get from A B AB O. 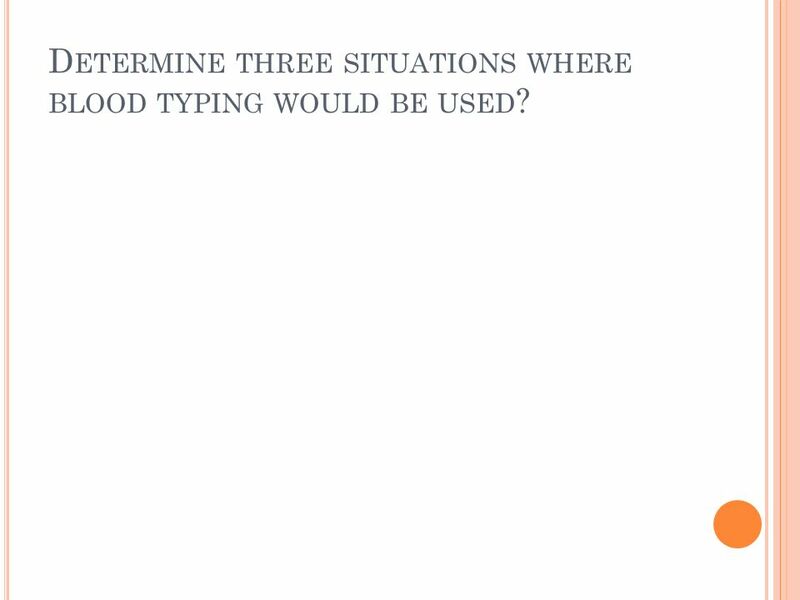 6 D ETERMINE THREE SITUATIONS WHERE BLOOD TYPING WOULD BE USED ? 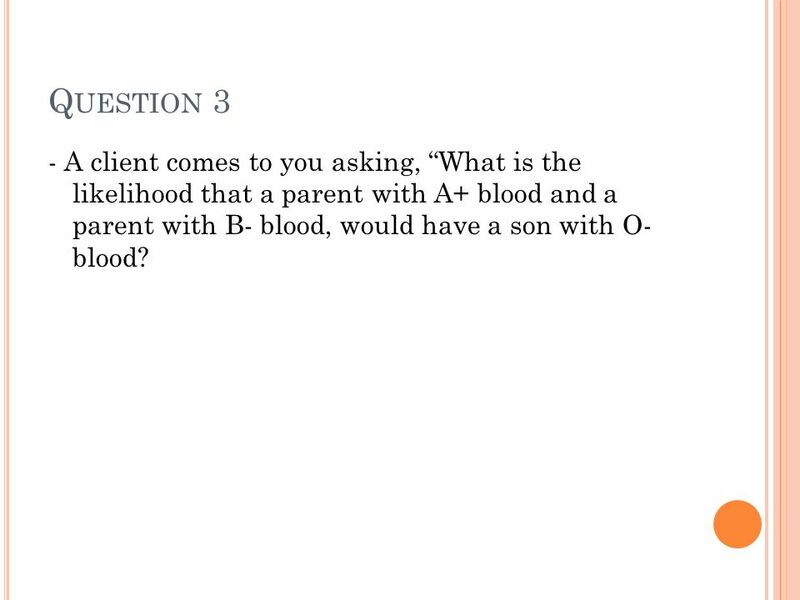 10 Q UESTION 3 - A client comes to you asking, What is the likelihood that a parent with A+ blood and a parent with B- blood, would have a son with O- blood? 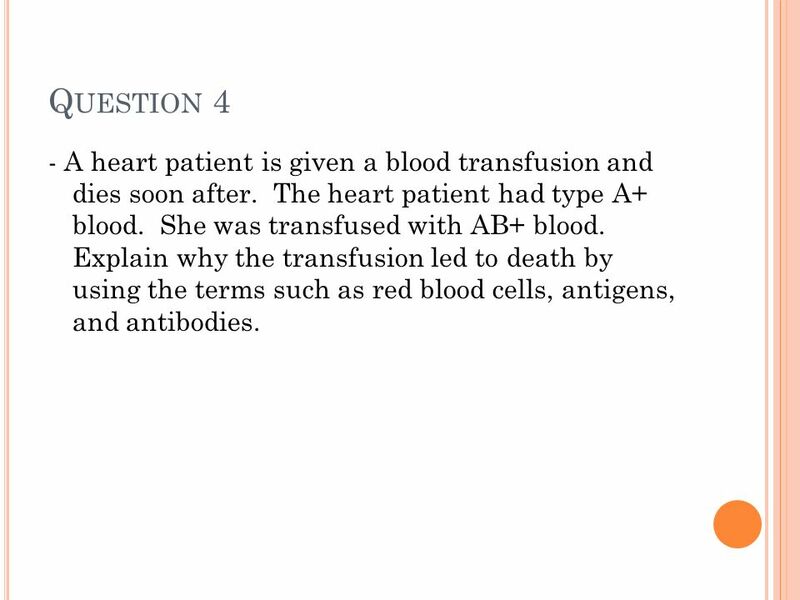 11 Q UESTION 4 - A heart patient is given a blood transfusion and dies soon after. The heart patient had type A+ blood. She was transfused with AB+ blood. Explain why the transfusion led to death by using the terms such as red blood cells, antigens, and antibodies. 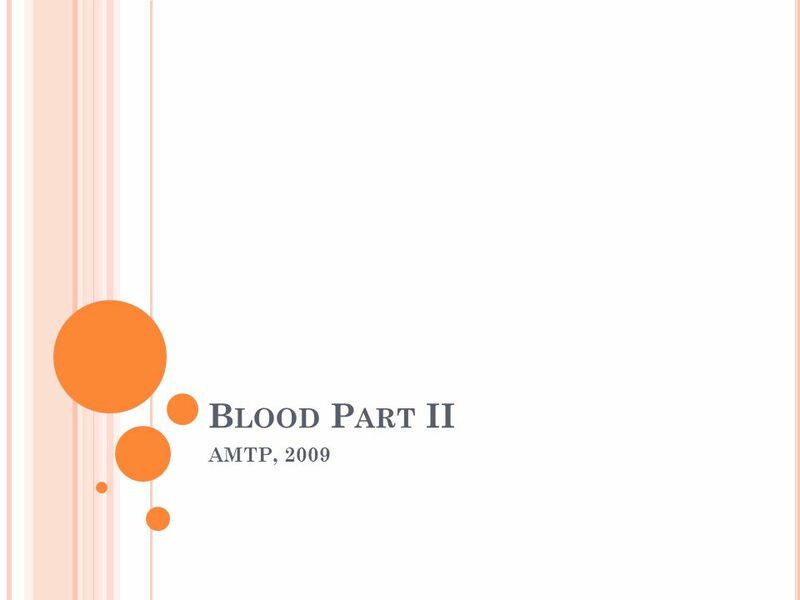 Download ppt "B LOOD P ART II AMTP, 2009. B LOOD T YPE Blood Type AntigensAntibodiesCan Give to Can Get from A B AB O." Inheritance and Blood Typing Vanderbilt Student Volunteers for Science Spring, 2006 Training Presentations. Test your understanding – a quiz about the correct order of asking questions when taking a genetic family history. The Bloody Facts. Blood Groups, Typing, Transfusions Transfusion experiments carried out for hundreds of years. (Many patients died!) Transfusion experiments. 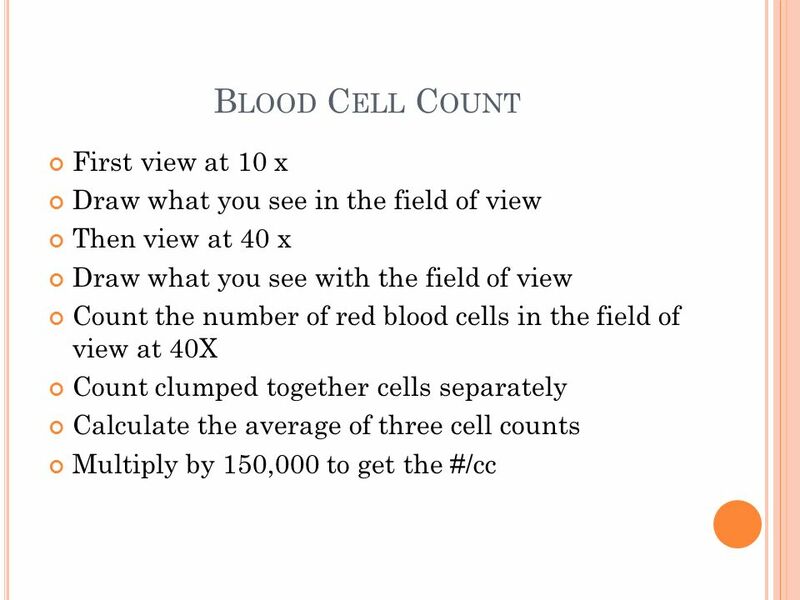 Blood Types Objective: Determine how blood types are inherited and how co-dominance applies to the ABO system. Blood Type Ch. 14 and Section 37.2. ABO and Rhesus Systems. 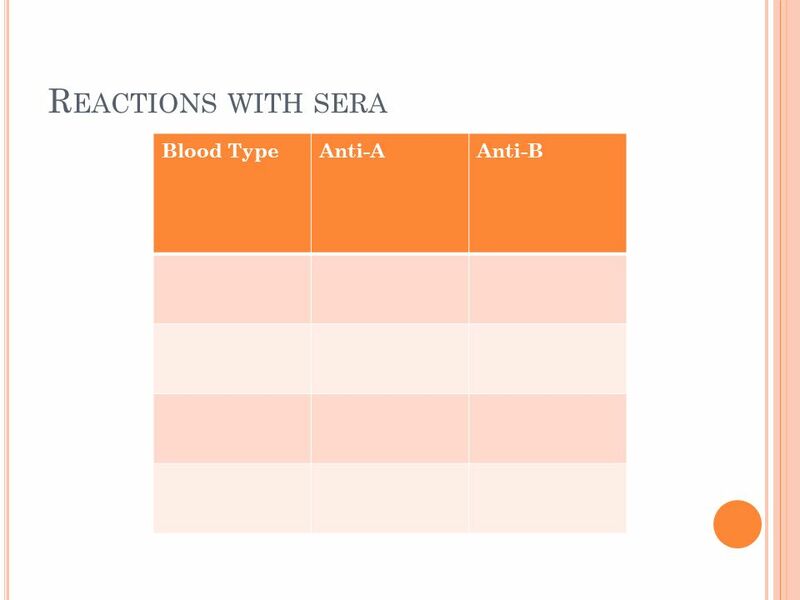 The ABO System Erythrocytes may have one of 3 different antigens on their surface These antigens are called A, B and AB and blood. Question of the Day! What are your academic goals for the end of this semester? How are you going to accomplish these goals? 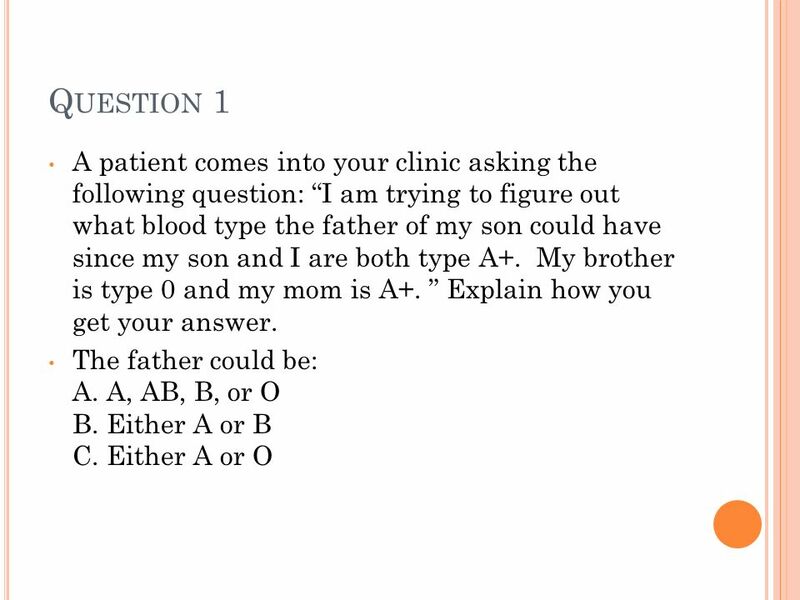 Blood types An example of a trait controlled by multiple alleles. Blood Type Lab. What are the 4 blood types? What are the protein markers on the surface of these RBCs called? ANTIGENS. 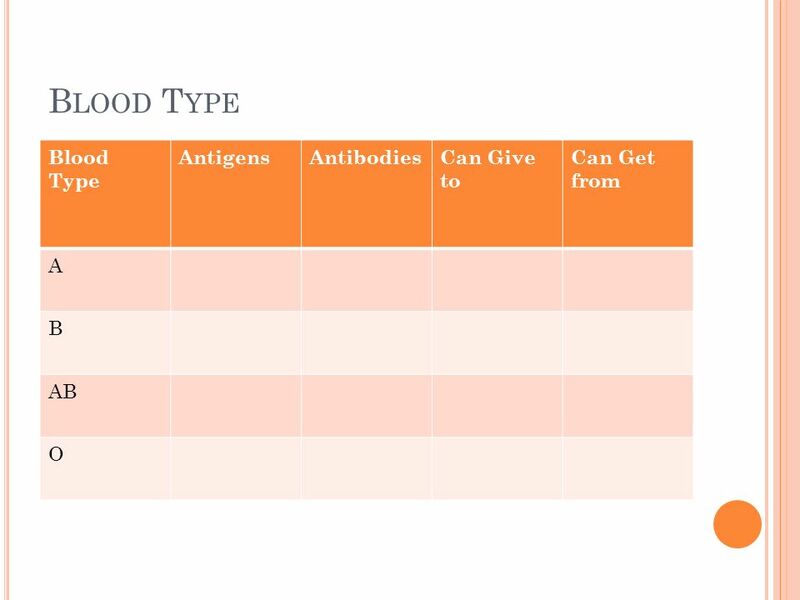 Blood Type Warmup 1)Which blood type only has Rh antigens? 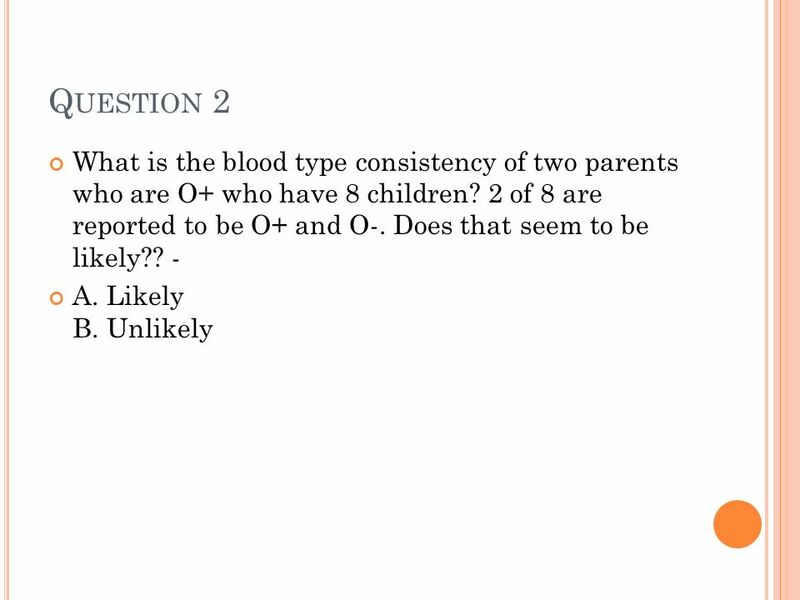 2)Which blood type only has B antigens? 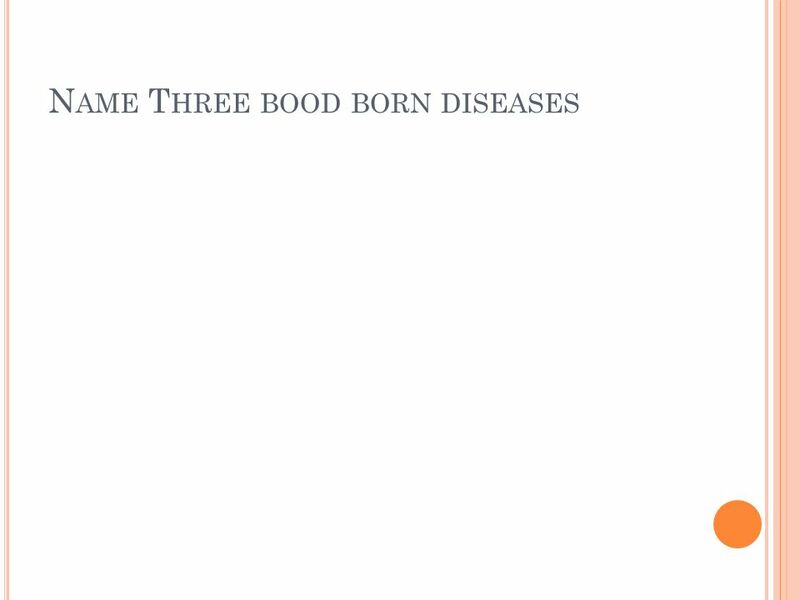 3)Which blood type only has Rh antibodies? 4)Which blood. 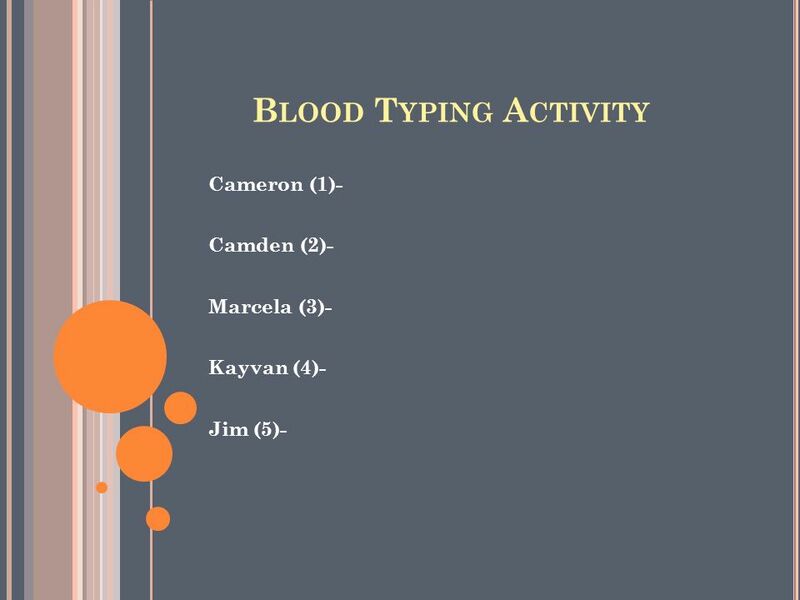 Blood Typing Questions AMTP, Blood Types Blood Type A- Genotype ____ - Phenotype _____ Blood Type B- Genotype ____ - Phenotype ______ Blood Type. PEOPLE IN THE FAMILY Who is he? Who is she? What is he? What is she? Form 2.